The Competitive Stingray summer season runs from May 1 through to August. 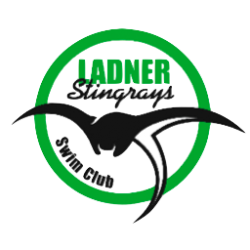 The Little Stingray program runs from June 1 through to August. Registration for the program normally takes place one weekend in March and another in April. Check the website for specific dates. When you come to the registration event you should bring some proof of your child’s age (care card, birth certificate or passport), cheques and your child and his/her bathing suit. 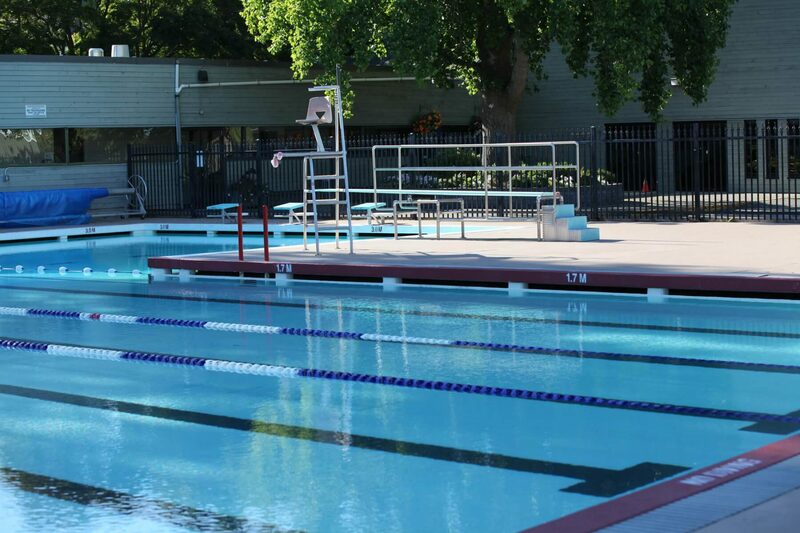 While you complete some basic paperwork, one of our coaches will take your child into the pool and watch him or her do some basic strokes. This gives the coaches some idea of the skill level your child has. We do our best to group kids with swimmers of similar ages and abilities. Fees are posted under the Registration section of our website. Registration is done online through Active and it is not necessary to pay in full. Should you choose not to pay for the entire cost of the program at registration, we accept three instalment payments (May 1st, June 1st & July 1st). In addition, we require a post dated Family Fundraising cheque dated for August 15. Our Fundraising co-ordinator will also be at the registration event and will inform you of the different ways you may participate in the fundraising activities of the the club to “earn” your fundraising cheque back. Yes. Swimming registration is done online. WE MISSED THE REGISTRATION DATES, NOW WHAT? You should email our Registrar to let them know you are interested in joining the club. The Registrar can send you a link to register. It will be necessary to show the Registrar proof of your child’s age. This can be accomplished by either meeting the Registrar in person and showing the document or providing a photocopy of either your child’s birth certificate, care card or passport. Once the Registrar has confirmed your online registration is complete, the Head Coach will be notified and a mutually convenient time to have your child assessed will be arranged. WHAT TIME WILL MY CHILD’S GROUP SWIM? The schedule for the groups changes each month as the club shares pool time with different user groups from month to month. Generally the younger swimmers swim first and the senior swimmers are the last group in. The younger swimmers stretch for 10 minutes and are in the pool for 60 minutes. Our senior swimmers stretch for 10 minutes and will swim from 1 to 2 hours, the longer practices coming more toward the end of the season. There are morning and afternoon practices. For example, there may be 4 afternoon practices and one morning practice. Once or twice a week, the groups have “dryland”, which are exercises/games on land, for 20 min – 45 mins depending on the age of the swimmers. The Little Stingray groups will have their practice times are already posted under “Practice Schedules”. THE PROGRAM HAS ALREADY STARTED, IS IT POSSIBLE TO JOIN PART WAY THROUGH THE SEASON? We will do our best to accommodate your child. If there is room in the appropriate swim group we would be happy to have your child join part way through the season. It is important to keep in mind we try and group swimmers of similar ages and abilities together. If the group best suited to your child is full, it may not be possible to join part way through the season. WHAT IF MY CHILD CHANGES HIS OR HER MIND ABOUT JOINING THE CLUB, AM I ENTITLED TO A REFUND? Other than the Two-Week Trial, refunds will not be granted unless the reason for discontinuing is the result of an injury or illness and is supported by a written note from a physician. The amount to be refunded will be pro-rated based on when the request is received, in writing and decided by the Club President, Registrar, and Treasurer. There will be no refund of the BCSSA fee portion of the registration fee. WHAT IF MY CHILD NEEDS TO MISS A PRACTICE? Many of our swimmers are involved in other activities. We encourage everyone to come to as many practices as they can but we understand that not everyone can make every practice for a variety of reasons. We do not take attendance at practice. WE WOULD LIKE TO TAKE A FAMILY VACATION IN THE SUMMER, IS THIS STILL POSSIBLE? Absolutely. Again, we encourage swimmers to attend as many practices as they’re able to. Summer vacations are a part of summer and we understand the importance of spending time with your family. IS IT POSSIBLE TO DOWNGRADE FROM COMPETITIVE PROGRAM TO LITTLE STINGRAYS? Provided your child is within the age parameters for Little Stingrays, we can move your child into that program and refund you the difference in fees. I WOULD LIKE TO JOIN AS A ONCE WEEKLY MASTERS SWIMMER. AM I REQUIRED TO SWIM THE SAME DAY EACH WEEK? No. We understand schedules change from week to week. As a once weekly Masters swimmer feel free to pick whichever day of the week suits you from week to week. WHAT IF MY CHILD IS RELUCTANT TO ENTER A MEET? ARE THEY REQUIRED TO COMPETE? We encourage our swimmers to attend meets but it is not mandatory. Younger swimmers (Divisions 1 – 3) are eligible to compete at Development Meets. The purpose of these meets are to gently introduce swimmers to how a competitive meet works. They are a fun, low pressure way to gain competitive experience. Nobody is disqualified at a Development Meet. The focus is on having fun. You and the coaches will work together to determine if and when it would be appropriate for your child to compete at a weekend (i.e. competitive) meet. Again, we encourage our swimmers to attend meets but your child would never be forced to attend a meet – Development or Competitive.